These were the folks that didn't get any of the glory, but who kept the aircraft flying. They were the electronics whiz-kids in the Communications shack, the armorers loading the bombs, and the crew chiefs kicking tires, changing engines or patching the holes on the aircraft. These were the behind-the-scenes workers who made it happen. 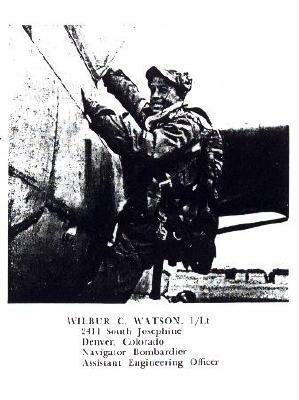 1/Lt Wilber C. Watson (Navigator/Assistant Engineering Officer), wrote in January-July 1952 Yearbook about the Engineering Section (crew chiefs), "Remember in the Fall of '51 when the dust was over everything, including you and your aircraft, while standing knee deep in mud at the same time. Then Winter came with its cold. On went the wing covers and out came power units to start every aircraft. Pulling those second intermediate inspections, when the wind was blowing a mile a minute and the temperature had hit the bottom of the thermometer." He continued, "Then there was pulling night crew duty for a week, with memories you will never forget. Seeing that each combat crew got in their plane OK and off the ground on time. Remember plugging in the old power unit and then standing there just hoping it would please keep running until you got the plane started? After all the planes were safely on their way to northern Korea, you went back to Operations and the stove to sweat out the safe return of each aircraft. Then you would start hearing the planes calling into Coffee Mill and listen for a well-known aircraft number, meaning one more of the Friendly Eight's planes and crew was just fifty miles out. You would run out to the line to park and chock it, hoping that big Schmidt hadn't received battle damage again tonight, or that Lt. Harbour wouldn't get writers' cramp filling out the From #1." Nothing much has changed over the years...except the names of the organization. One of the mechanics on the flightline was Larry Casseria (then an A1c). He wrote, "...I was with the 8th during 1951 to 1952. I was a prop specialist and worked on the B-26s at all hours. I can remember changing prop governors in the dark of the night with the cold winter wind trying to blow me off the prop dome. My engineering officer was Arlo S. Potter. We had different logos depending on the name of our CO. Under Capt. Rush, we were called Rush's Renegades. Our logo was an Indian with a scalp in one hand and a hatchet in the other. Under Capt. Leahy, we were called Leahy's Lunatics. We didn't have a suitable name for Capt. Robinson." Larry continues on with a story that tugs at your heart strings. 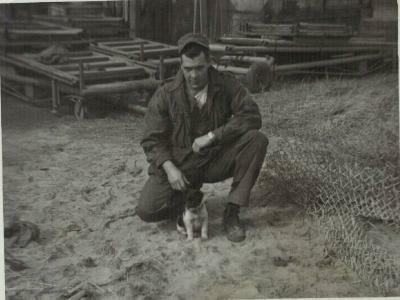 "I had a little black and white dog that was left behind by an Australian crew who landed at Kunsan to refuel. They let the dog out for some exercise and it vanished. It reappeared shortly after the Australians had to leave. I adopted the dog and named him "Malfunction" Everyone on the flight line knew him because he had a habit of chasing "dust devils' that were caused by the rotating props. He was just short enough to run under the rotating blades without being hit although many people averted their eyes so they wouldn't have to see him slaughtered. He was never injured. My oldest brother "Tony" arrived shortly before I left.so I left "Mal" with him. 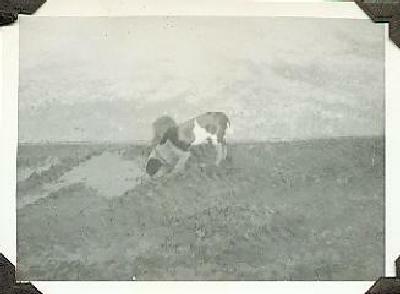 My last image of Kunsan was my brother with my little dog over his shoulder walking away from me with his head down and my dog watching me over his shoulder as I climbed into the C-47. It nearly broke my heart." According to Larry Caseria, Figmo was Malfunction's pup. Larry later added to his story of "Malfunction" after his deployment to Pusan. He said, "I went to Pusan but had to leave my dog behind. I believe that we were there for about two months. When we returned, no-one knew where my dog was and she had not been seen since I left. I think that I cried but on the second day back, I was walking to my shop - the ground was very muddy and we walked on elevated wooden planks called duck boards. Something moved under the boards just a few feet from my shop and I called my dog and this bedraggled, muddy, skinny little black and white dog crawled out from under the boards. It took me a few minutes to convince her that it was me. She must have been hiding all the time that I was gone. We once had a dog show at Kunsan and Malfunction took the blue ribbon." 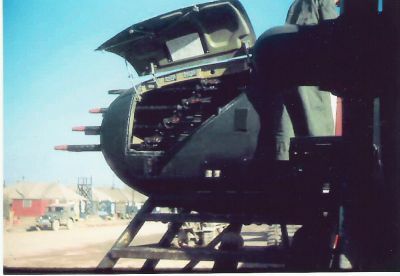 The Armament section were the people who were responsible for all the component parts of the "sting" of the aircraft. A/2c George Riker wrote in 1952, "These men are responsible for the loading and fusing of these "little packages of death." The loading of bombs is an art within itself. While the actual loading requires very little technical knowledge, quite a bit of skill is needed to maneuver the 500 pound masses of steel into their proper places on the wings and in the bombay." It is still said today, "Without armament, you only have an airliner." Jack Boyer wrote, "From time to time, we loaded 500 pound GP bombs fused with anti-withdrawal fuses (booby trap-we called them). We had a sign we would lean up against the nose wheel that said "Anti-withdrawal fuses being installed". You could look up and down the flightline and there wasn't anyone (engineers, radar/radio guys, flight crews, gas trucks or no one other than armorers) in sight anywhere. Some of the flightline guys would probably remember this. We would only allow one armorer in the bomb bay at a time so they wouldn't be distracted. You could only screw the fuse in, if you tried to unscrew it a quarter of a turn it would explode the bomb. It was only a tail fuse in the bomb, no nose fuse was used." Jack recalled once when his old buddy, Bill Askman of Caspar, Wyoming was installing these fuses, "...He was inside the bomb bay screwing in the fuses (we would allow only one guy in the bomb bay at a time so he wouldn't get distracted) and all of a sudden he stepped out of the bomb bay and his face was ashen. He said "I almost bought the farm" (guess he didn't think about me being on the same farm) while I was screwing in the fuse the fin got caught in the arming wire and it acted like a spring". The fuse backed up. Not far enough to be detrimental to our health though." Paul T. Ono, who worked as an armorer for a short time before being assigned to the 3rd Maintenance Squadron, remembers getting the bad news that the work schedule was seven days a week with no breaks. He wrote, "I've forgotten my armorer Crew Chief 's name but he was a Corporal and everyone called him Sukoshi because he was real short, even shorter than me. (Note: The rank was still called Corporal at this time which was about a month prior to the change in the names of the lower four enlisted ranks.) At the end of the first week of working as an armorer, I asked my armor crew chief whether we got the Saturday or Sunday off. He replied without the slightest hesitation, "Hey Dammit, There's a War Going On Out Here and We Work Straight Through Everyday Until We Go on R & R". Later he wrote, "I also found out from Larry Caseria, on the internet, who was also with the 8th Bomb Sqdn, that my Armament Crew Chief's name was Clifford Bihl. He is the person whom I referred to and we all called SUKOSH or SUKOSHI because he was even shorter than me at 5' 6". Though he was short in stature, I thought he was a Giant as far as a leader and getting the work done." Paul remembered another incident in March '52. "There was a fire at the opposite side of the of Kunsan AB from the 8th was located, which I was told later, was set intentionally as a diversion for burglarizing the 8th Bomb Sqdn's supply tent. The 1st Sgt was hopping mad because he had signed for the equipment and supplies stolen." Though theft by Korean nationals was a recurring problem due to the abject poverty in Korea, arson as a diversion is not a normal Korean trick. Koreans practice subterfuge not diversion. This certainly sounds like a GI theft -- and the enlisted ranks had an extensive barter network that was thriving at Kunsan. Miho AB, Japan was where the B-26s from the 3rd Bomb Wing (Kunsan) and 17th Bomb Wing (Pusan) would send their aircraft for major inspections. For those who accompanied the aircraft to Miho, it was a welcome break from the grueling routine of Kunsan. 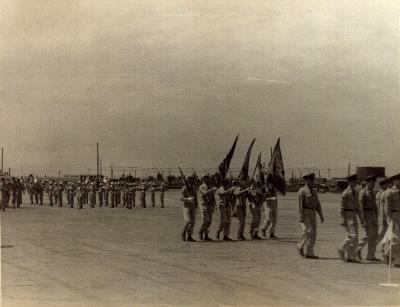 In November 1951, the 3rd BW sent maintenance personnel to Miho Air Base, Japan to form a rear echelon maintenance combined operations (REMCO) team. 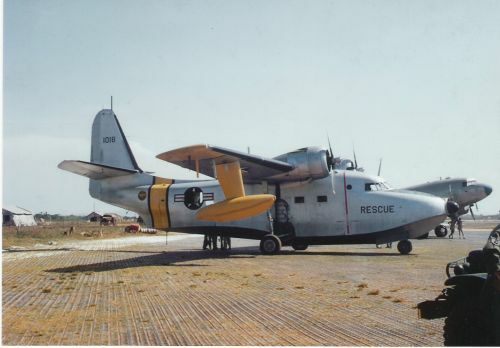 According to "U.S. Air Force Operations in the Korean Conflict" (p103), Futrell, the unit joined maintenance personnel from the 452nd Bombardment Wing and the 67th Tactical Reconnaissance Wing (TRW) who flew the RB-26 photoreconnaissance aircraft. Previously, the 3rd Bombardment Wing had elected to take its aircraft maintenance repair capability to Kunsan AB, while the 452d set up its rear echelon maintenance at Miho. The 452nd Bombardment Wing's in commission rate increased from 57 percent in July to 82 percent in November, while the 3rd Bombardment Wing's rate dropped from 78 to 65 percent during the same period. Staff visits revealed that the wing's B-26s were in a bad state of repair while those of those of the 452nd Bombardment Wing were being maintained in excellent condition. The revelation prompted the switch in maintenance location. This action considerably increased sortie effectiveness, flying hours and maintenance effectiveness of the 3rd BW aircraft. 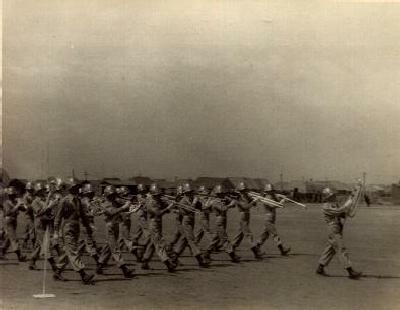 In April/June 1952, the agreement was changed so that all personnel worked for one maintenance unit under the 452d BW. The personnel remained assigned to their respective units for administrative purposes. The three wings flying the B-26 and RB-26 supplied 28 officers and 820 airmen based on their estimated workload and number of assigned aircraft. Hans Petermann wrote, "I was reminded by Boyer's comment of maintenance at Itazuke that the rear echelon maintenance for the 3d BW was in Miho, Japan while I was still there in March and April 1952. The hangars at K-8 were all essentially open to the elements and Miho had fully enclosed hangars. I flew back there once delivering a B-26 for overhaul. I remember Maj. Lamar Anderson, a Texas A&M grad, was the 3d Bomb Group maintenance officer at Miho. He and I spent a memorable R&R at Matsue." Paul T. Ono of Gardena, California remembers being sent to support the maintenance work after being assigned to the 3rd Maintenance Squadron. He wrote, "I was sent TDY to Miho AB on a rotating basis and performed Depot Inspection Repair on B-26's from both the 3rd and the 17th Bomb Wings. I worked under a civilian Air Force Technician named Ralph Hoefling, who was from the state of Utah." When asked about the size of the 3rd Maintenance Squadron and the rear echelon element at Miho, he wrote, "In regards to your question regarding the size of the 3rd Maintenance Squadron, it was separated into two groups. I don't have any idea as to the total number of the 3rd Maint Sqdn personnel or which group was the larger. One group was at K-8 and the remainder of the group was at Miho Air Base in Japan. 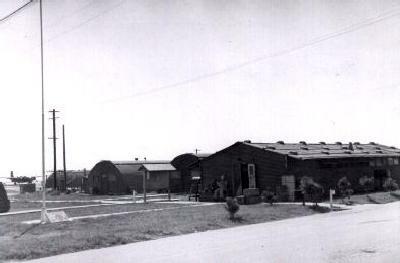 Miho AB was the Depot Inspection and Repair (DIR) Station for both the 3rd Bomb Wing and the 17th Bomb Wing from Pusan AB, K-9, Korea. 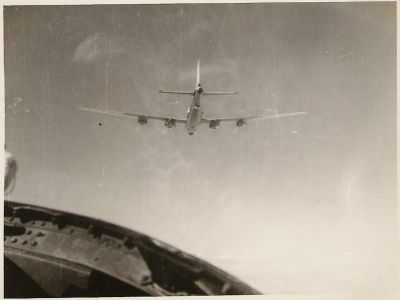 We worked as a team on both of the Wings' aircraft, without regard to the 3rd Bomb or 17 Bomb Wing unit. We were also quartered together in the old Japanese two-story building behind the Admin Bldg. One didn't really know who was from the 3rd or the 17th unless one asked. Administratively they also shared the orderly room etc. So as far as what the total number of persons assigned to the 3rd Maintenance Squadron, that would have to be checked either by Section Leader level or higher since the workers pretty much were formed into specialty crews or teams rather than by flights or elements. Probably the most accurate number as to the size of the 3rd Maintenance Sqdn would come from the MTO&E in effect during the period. Another factor regarding the labor pool at Miho was that there were the indigenous personnel (Japanese personnel) in the armament shop there who also worked side by side with the airman. However, all final inspections were performed by the airmen. The 3rd Maintenance Sqdn was pretty much broken down by job specialties, for example, Aircraft and Engine Mechanics, Hydraulics Mechanics, Turret Specialist, Prop Specialist, Radio Repairman (as you stated black-changers), etc." He wrote, "Incidentally, I was told that Miho Air Base prior to and during World War II was the Japanese Naval Aviation Cadet Training Center, similar to what Pensacola used to be for the US Navy." Paul continued, "I recall an incident at Miho AB where a B-26 from the 17th BW was in the hanger. It was supposed to have been disarmed by the crew prior and checked prior to being towed into the hangar. The B-26 had an Inspection Tag checked checked off saying that the weapons were cleared and ammo removed. During the initial operational slewing test of the upper and lower turrets, the turrets felt sluggish and wouldn't slew as fast in azimuth as they should, when compared to empty. Also, when the slewing was stopped, the turret stopped abruptly as though there was ammo was still in the ammo magazine. After removing the turret dome to check for ammo, I found that two 50 cal machines guns in the upper and lower turrets had live rounds in the feed chute mechanism and the four magazines were full of ammo. The Gun Charger Pneumatic System Operational Check would have been the next test to be performed. This test would have resulted in rounds being chambered by the pneumatic gun charger on the first charging of the weapon with and fired on the second charging. I reported the incident to Ralph immediately. The safety policy was revised to require an inspection of all gun chambers and magazines insuring that they were empty prior to bringing the aircraft into the hanger." In addition to performing major inspections, Miho also performed the acceptance and special inspections. For example, after the ceasefire in 1954, five aircrews and maintenance personnel deployed in an operation called "Operation Saddle" to support the U.S. decision to back the French in Vietnam. The aircrews were sent to join the Groupe de Bombardement 1/91 Bourgogne at Tourane (later called Danang) and flew combat bombing missions against the Viet Minh. But the French were overextended and the end was inevitable after the loss of Dien Bien Phu. The 3rd BW crews departed Tourane AB 14 days before the defeat at Dien Bien Phu. 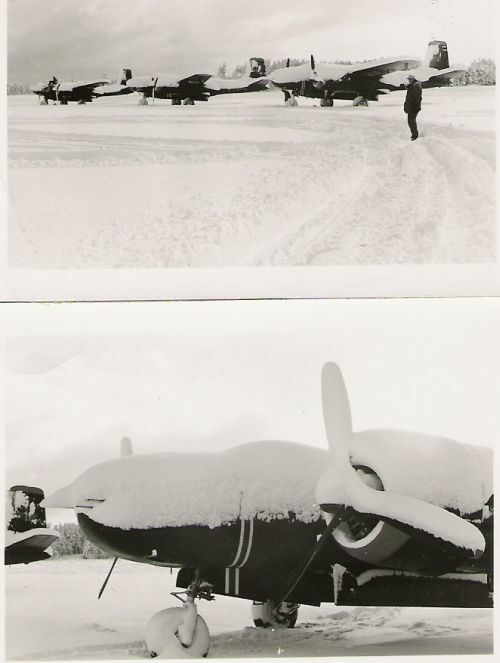 Fifteen B-26s were flown out and were taken to Miho, Japan. After inspection, the 3rd BW aircraft were returned to K-8. 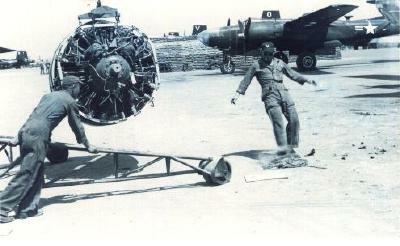 Can you imagine how fifteen B-26s being dumped in your lap could really mess up your inspection schedule? In addition, Miho also served as the Field Training Detachment site for equipment familiarization training. 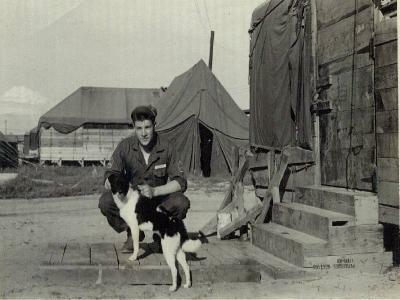 Paul said, "I was also sent on TDY to Miho Air Base, Japan for 4 days, for the B-26 Aircraft Systems Familiarization Course, then returned to K-8 and continued working as an armorer." 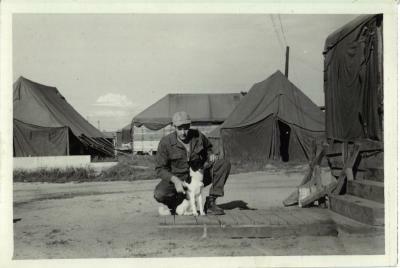 Jack Boyer wrote, "Nowhere do I see any reference to the 3rd Bomb Grp being moved down to Pusan (K-9) in early '52." It's there, but unfortunately it's not listed under the 3d Bomb Group (3rd Fighter Wing) or 8th BS (L-NI) (8th SOS). It's listed in the Air University records under the 90th BS (L-NI) (90th FS): "Kunsan AB, South Korea, c. 20 Aug 1951 (deployed at Pusan AB, South Korea, 25 Apr-17 May 1952)". Being deployed Jack said, "We lived in large tents at K-9. And with so much rain, one night the wind came up and the tent pegs were in that soft ground, the tent blew down with all of us guys inside. To put it mildly, there was a lot of confusion." 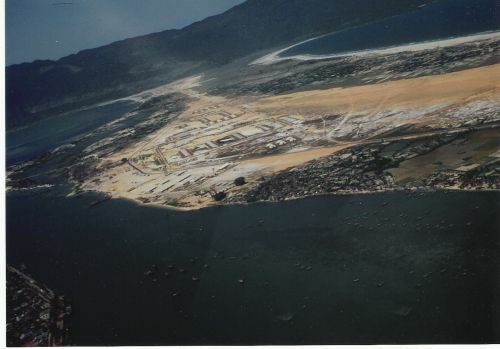 Jack continued, "Our runway at K-8 was in poor shape so they sent us down there for about 2 months (I think) during the rainy season. It was so crowded at K-9 with us and the 452nd we had to park our planes parallel to the runway (very close). That was our flightline. It seemed that there was a crosswind to the runway a lot of the time. Many times I would see planes trying to land and having a hard time of it. I once saw a C-46 make four passes to the strip before he could set down. As I recall all the planes took off toward the sea (which was at the end of the runway) and landed coming from the sea. I don't remember any other patterns. Maybe someone from a flight crew would remember." "Our planes were flown to Iwakuni for major overhauls and inspections. A B-26 had taken off for Iwakuni and soon after he came back with only one engine running and he came in from seaward trying to line up parallel with the runway (there was a strong crosswind that day) and he only had one chance to let down and the wind blew him off course. He tried to go around for another pass and disappeared from view behind a hill and then we saw black smoke coming up from behind that hill, I believe the crew got out alive, but injured. I used to know the pilots name, but the gray matter fails me 48 years later. I was up on a wing cleaning 50's and as he pulled up to go around, he was right above my head and for a moment thought he might let down right on our flightline. As I recall all our bomb loads had been dumped on the ground in front of the planes. Could have been real messy." Larry Casseria added later, "I witnessed the crash - in fact, the plane was swept off the runway, on one engine, and it flew right over a plane I was working on and it was so low that several of us ran for cover. I believe that all the crew survived and the only serious injury was suffered by the engineer whose last name was "Taft" I believe that the pilot's name was Capt. Woods and the young man flying in the Shoran compartment was named "Rusty". Rusty suffered a bump on his head." Paul T. Ono has the rest of the story about "Taft". He wrote, "During this period that I was with the 8th Bomb Sqdn at K-8, I ran into a former high school classmate, Thadeus Taft. He was a track star while at Polytechnic High School in Los Angeles, who was also in the 8th Bomb Squadron and worked as a flight engineer on B-26's. In 1980, at a High School Reunion, I saw him in a wheel chair and asked him what had happened. He said that while at K-8 with the 8th Bomb Sqdn, he was on a test flight (piloted by CPT Woods, as related by Larry Caseria on the website) and during the landing the a/c's landing gear collapsed and the B-26 landed on its belly. Taft sustained major back injuries which left him paralyzed from the waist down." Working on the flightline is always hazardous, but one incident on December 16, 1952 sticks out in everyone's mind. James F. Farr of Farmington, Connecticut (with the 3rd Air Installation Operation (AIO)) wrote in a tongue-in-cheek manner, "...I further recall one day as myself and other travelers were enjoying our fantastic repast at our 1st-class restaurant, suddenly the earth shook and several loud explosions caused most of us travelers to dive under tables." He went on to say, "The loud explosion I mentioned was the day of the big bang at K8 when the planes blew up on the runway. That was a very scarey time." Roland Reed of the 808th EAB wrote, "One day I was in "A" co. motor pool. They were fueling planes behind us. All at once, fire broke out blowing one plane after another. Parts were flying. We all jumped on a jeep and left promptly. After that they sand bagged between planes." According to the 3rd Fighter Wing history, four F-84s were destroyed as well. Jack Boyer (an armorer with the 8th BS) stated, "I assume you heard about the flight line accident that occurred in Dec '52 when the 8th plane being loaded for a mission exploded and several planes blew up along the line." To be truthful, most people have forgotten it. It is just the same as the terrible explosion at the old Japanese bomb dump on November 30, 1945 that killed two American officers, three enlisted men and 12 Koreans. 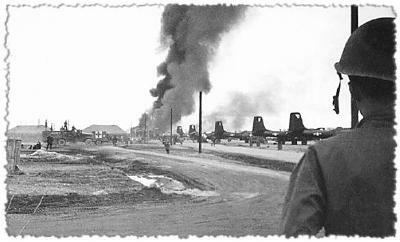 By the Korean War this incident too has been forgotten, just as this incident is not remembered at Kunsan Air Base today. However, to those who were there, this is still a vivid memory. 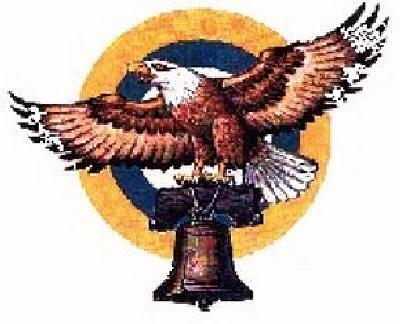 Courtesy The 13th Bomb Squadron Association Homepage. 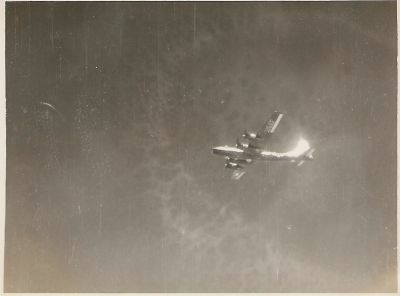 The 13th Bomb Squadron Association Homepage has an short article by Vincent La Berge (then of the 13th BS) that relates this well-remembered incident. "About noon December 16, 1952, there was a terrible accident on the 8th Bomb Squadron flight line. An 8th armament crew somehow dropped a 500 LB M1A2 frag cluster bomb and one of the frags detonated. This cut the armorer's legs off, although he survived. The aircraft was being loaded with 500 LB GPs, which were on the ground under the wing when the aircraft caught fire. These 500 LB GPs blew up. 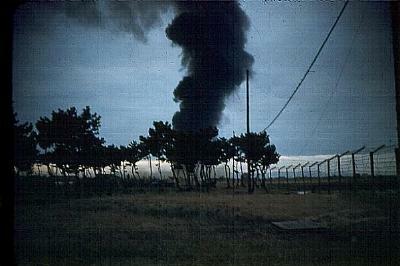 This caused significant damage to several adjacent 8th aircraft, and some to the 13th aircraft. M1A2 (20#) were flying through the air, lodging under the landing gear on the aircraft and damaging engine nacelles, etc. Since the 13th aircraft were parked next to the 8th squadron, our line chief had our aircraft towed or taxied out of the area to a distant location. The crew chiefs showed real bravery in as much as the fire from the aircraft burning and exploding ammunition presented periods of great hazard. I know it was very hairy because I started taxiing one of the aircraft. We were all very lucky. 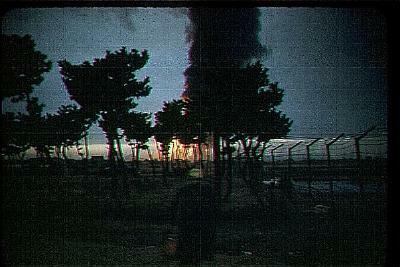 The fire could have gotten into the flight line Bomb Dump, which was within 50 or 60 yards of the fire and explosions. There were several Soldiers' Medals given out from events this day." Jim Armstrong of the 428th FBS remembered the big "boom" as well. 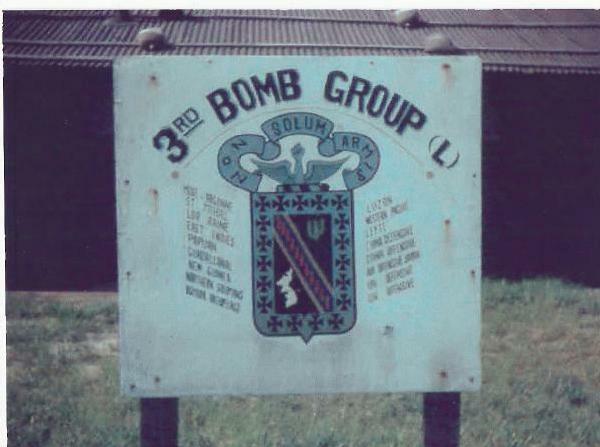 The 428th FBS was located directly across from the 8th Bomb Squadron. As the 500 LB GPs cooked off, parts were flying everywhere. Jim wrote, "The account about the accident on the B26 flight line with the bombs going off and the ammo cooking brought back memories in a hurry. I was within 150ft or so when everything started." At that time, the only concern of the F-84 crews was to tow or taxi their aircraft to safety away from all the flying schrapnel. There was a lot of heroism on everyone's part that day. Hans Petermann also mentions a rather touchy topic that is still is floating around today...the unjust accusations of Germ Warfare in the Korean War. He states, "The Chinese also accused the 8th of dropping "germ" bombs. One of our crews didn't return and we didn't know what had happened. I was home on leave in Upstate New York upon my return and was tuned in to Peking Radio on my short-wave (we used to listen at K-8 to see what nonsense they put out) when I heard the announcer state that this crew had "confessed" to dropping "germ" bombs. Boy, was I surprised. I was later contacted at my new base, Ellington AFB, by an intelligence agent who queried me about what I knew of dropping such bombs, which we knew were merely "duds". The whole thing was horse-hockey, of course. I don't know what the real outcome of all this was. I believe, though, that the crew was eventually repatriated as part of the armistice." Though Hans Petermann thought these "germ warfare" bombs were actually "duds" (unexploded ordnance), Jack Boyer of Santa Clarita, California (an armorer assigned to the 8th BS) has some other ideas on how this "germ warfare" bomb might have come about. He wrote about the germ warfare claim, "Thats a bunch of B.S. as I loaded and fused a lot of different types of bombs (100 lb fire bombs, 280 lb frag, 500 lb gen. purpose, 500 lb fire, 500 lb frag clusters, 5" rockets, napalm and last but not least propaganda bombs. These were leaflets inside a hollow shell which looked like a 500 lb bomblet bomb which we also loaded and dropped. As I recall it had two small tail fuses that went off above ground and the leaflets would spread out over a large area." (Go to Korean War Reference -- Germ Warfare or Propaganda for examples of the leaflets.) His idea is that these empty cannisters may have been used as "proof" of these germ warfare bombs. He wrote later, "...my idea that the germ warfare idea may have been spawned by the empty propaganda leaflet bomb shells? The casing of the bomb was thin metal with the inside a large hollowed area for the leaflets." Hans Petermann's statements refer to the claims of the U.S. using biological warfare in Korea. On March 8, 1952, Chou En-lai indignantly announced that downed U.S. Air Force personnel using biological weapons would be treated as war criminals. A few days later the Soviets joined in the attack, bringing similar charges of American use of germ warfare before the UN Disarmament Commission. On March 26, 1952 Chou En-lai sent a telegram to the Secretariat of the UN in which he claimed that the USAF in 448 sorties, had spread large quantities of germ-carrying insects over northeast China. He claimed it was in an attempt to further American aims of invading China. 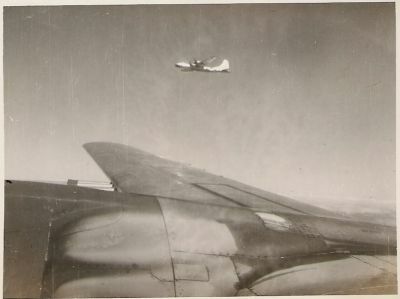 A week after Chou En-lai's report, the Chinese charges appeared to be confirmed by the confession of Lieutenant Kenneth Enoch, whose B-26 had been shot down three months earlier. A few days later, his comrade Lieutenant John Quinn, also confessed. This incident is covered in Crimson Sky: The Air Battle for Korea by John R. Bruning, 1999. On p114, it states: "For light bomber crews captured by the communists, an especially insidious campaign of torture was undertaken. In May 1951, the communists began to claim that Americans had initiated a bacteriological warfare campaign in North Korea and China. The following year, in February 1952, even more accusations followed. ..."
"On May 4, 1952, Radio Pyongyang announced that two American aviators from the 3rd Bomber Wing had confessed to dropping bacteriological weapons on North Korea in January 1952. Lieutenant Kenneth Enoch and Lieutenant John Quinn had been shot down on January 13, 1952, during an attack on Anju. Shortly after their B-26 went down, the North Koreans had them in custody and began to grill both airmen with relays of interrogators who demanded that they confess to dropping germ bombs." "Held in solitary confinement, Enoch and Quinn endured weeks of interrogation along with psychological and physical torture. The communists berated them and denounced them as war criminals who would never be returned to the United States. If they confessed, however, they would each be declared a "People's Hero" and receive lenient treatment." "For almost two months, the communists kept the pressure on the two men, as well as several other airmen. Finally, in May, Enoch broke under the strain. As he put it later, when faced with a Hobson's Choice of insanity, death, or a ridiculous confession, he finally chose the third option. Quinn also eventually broke down and confessed. The men were filmed as they read their confessions. The film was distributed all over the world by the communists... Through Quinn's and Enoch's confessions, the communists were able to convince much of the world that there was a germ warfare campaign being waged in Korea. ..."
By July of 1952, germ warfare was a worldwide issue. Riots were staged by Communist supporters in many countries. Soon other experts were corroborating these claims of seeing "infected insects." These attacks on the U.S. intensified the efforts of the Chinese and North Koreans to wring confessions from captured American fliers. Later Lieutenant Floyd O'Neal and Lieutenant Paul Kniss confessed. 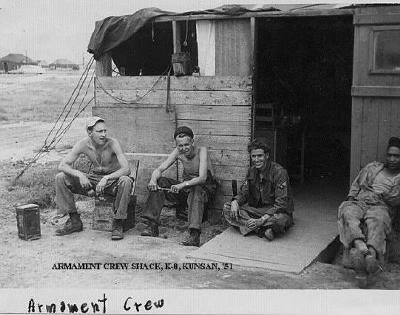 Another B-26 crew that confessed was Lieutenant James E. Gummo; First Lieutenant David E. Penny and First Lieutenant Bobby Hammett. Except for these few men, the American fliers resisted extreme pressure from the Chinese, despite severe beatings, torture, solitary confinement and intense interrogations. In In Mortal Combat Korea, 1950-1953 (p538) it states, "For months, the Chinese blocked investigations by the International Red Cross and the World Health Organization which they regarded as biased. Instead they relied on the International Scientific Commission, which consisted of sympathetic Westerners, including such renowned men as Joseph Needham, the Cambridge University biochemist. "The peoples of Korea and China have indeed been the objective of bacteriological weapons," reported the commission. "These have been employed by units of the U.S. armed forces, using a great variety of different methods for the purpose." Col. Schwable, former Chief of Staff of the First Marine Aircraft Wing, was captured by North Korea on July 8, 1952; signed the "confession" on December 6, 1952; and broadcast his "confession" to the world in February 1953. In his statement, he alleges that the biological attacks were carried out in secrecy by the Marine VMF-513(N) from Kunsan (K-8)...but that the 3d BW "B-26s had already begun bacteriological operations." It alleges that commanders from the Joint Chiefs of Staff -- all the way down the chain -- were verbally ordered to conduct these missions to spread cholera, yellow-fever and typhus -- and no one protested. Other high-ranking POWs also confessed to these "crimes", including Col. Walker "Bud" Mahurin, USAF World War II ace. These individuals found their military careers ended when they returned to the states. However, in Crimson Sky: The Air Battle for Korea (p115) it states, "Recent revelations by historians working in the archives of former Eastern Bloc countries reveal conclusively that the accusations against the USAF were a construct of communist propaganda. In fact, North Korea's secret police actually infected at least two North Korean prisoners with cholera to further give evidence of America's germ warfare campaign. ... Although epidemics ravaged North Korea during the war, no hard evidence was ever found that linked the United States to them. ... Despite the lack of evidence, the belief that America used bacteriological weapons still persists today in parts of the world." Anti-American activists in Korea and other parts of the world have used these types of "confessions" -- along with the Chinese "scientific proof" -- to keep this issue alive today -- disregarding that the veracity of the claims were recanted. But the final word on the subject is an article from the Associated Press on December 2, 1998. WASHINGTON --- At the height of the Korean War, the communist world exploded with charges that U.S. warplanes were dropping germ-carrying insects over the battlefields. North Koreans facing execution were infected with plague to make the case, and 25 American POWs were induced to sign "confessions." Now Cold War historians have pieced together the story of how the claim, instigated by Chinese battlefield advisers at a time when many North Koreans were dying of cholera, was repeated even after the Kremlin informed a nervous Mao Tse-tung that it had been "based on false information." On Feb.22, 1952, North Korea told the United Nations that U.S. aircraft had dropped disease-bearing insects in seven raids. Two weeks later, China's Chou En-lai charged that the United States had sent 448 aircraft on 68 missions to spread plague, anthrax, cholera, encephalitis and meningitis. Using12 documents spirited from the still-secret Presidential Archive in Moscow, scholars Milton Leitenberg and Kathryn Weathersby are publishing details about the campaign in the 'Bulletin of the Cold War International History Project' of the Woodrow Wilson Center. Leitenberg is a biological warfare specialist at the University of Maryland, and Weathersby is a historian specializing in the Soviets' role in the Korean War. The center is a government-sponsored think tank. Leitenberg said the documents "provide explicit and detailed evidence that the charges were contrived and fraudulent." The Americans' confessions were renounced when the prisoners were repatriated. The allegations, blessed by Josef Stalin and backed by Mao and Chou, were given credibility by the late Joseph Needham, a British biochemist and avowed Marxist, Leitenberg said. Needham headed the communist-backed "International Scientific Commission for the Investigation of the Facts Concerning Bacterial Warfare in Korea and China," which issued a 669-page report in 1952 that affirmed the charges. But Leitenberg said the commission conducted no on-site investigation; it merely listened to witnesses and examined slides of infected tissue. "They looked into a microscope and nodded their heads," he said. "It was a setup." When communist-organized delegations traveled to North Korea to investigate, the North Koreans staged raids --- setting off explosives and sounding sirens --- to convince the delegates that they were in danger and had better return to Beijing. Additionally, the Soviet ambassador to North Korea wrote a memo that said, "Two false regions of infection were simulated for the purpose of accusing the Americans of using bacteriological weapons." Meanwhile, at the United Nations, the Soviets vetoed U.S. resolutions calling for an investigation by the International Committee of the Red Cross. The Soviets also offered the North Koreans advice on how to avoid playing host to independent investigators. After Stalin's death in 1953 and with a Korean armistice a few months away, the Soviets decided in secret councils that pressing the charge was undercutting Soviet credibility. They resolved to quit making the claim but never owned up to its falsity. On May 2, 1953, the documents show, the presidium of the Council of Ministers of the U.S.S.R. adopted a blunt resolution that said: "The Soviet Government and the Central Committee of the CSPU (Communist Party of the Soviet Union) were misled. The spread in the press of information about the use by the Americans of bacteriological weapons in Korea was based on false information. The accusations against the Americans were fictitious." When the Soviet ambassador to China so informed Mao, he refused to take responsibility, the ambassador reported to Moscow. Mao said the claims had been based on reports from the Chinese battlefield advisers to the North Koreans. He displayed "some nervousness," the ambassador said: "He smoked a lot, crushed cigarettes and drank a lot of tea." 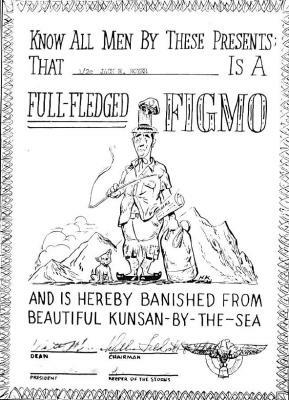 And then it was time to go home...time to shout that beloved word...FIGMO!!! The Armistice is Signed For almost two years the air war went on and losses mounted and the claims piled up. The statistics compiled for the 3rd Bomb Wing was staggering. Suddenly in June of 1953 the pace picked up with a full-scale max effort. Armament crew chiefs met the ships at night and readied the aircraft for early morning flights. Combat crews returned from missions, debriefed, and climbed back bleary-eyed and weary into their ships for early morning sorties. For 2 months this grueling routine was adhered to as schedule requirements rose. Then on June 27, 1953 came the long awaited climax. The Armistice had been signed and at 2200 the Cease-fire would take effect. How fitting it was that Col. LeBailly, Wing Commander selected the 8th to fly the last mission -- as it had been the Squadron which had accomplished the first mission in Korea. With a few scant minutes remaining before the 2200 deadline, a B-26 Night Intruder bearing the Liberty Squadron's yellow tail, opened its bomb bays and dropped the last load of explosives that detonated in North Korea. And then the stillness of the Armistice took hold. In the book The Grim Reapers, History of the 3rd Bomb Group 1918-1965, the following statistics are cited: "5,000 vehicles destroyed, 60,000 enemy soldiers killed, 700 surface ships destroyed and 3,000 planes destroyed on the ground and in the air." 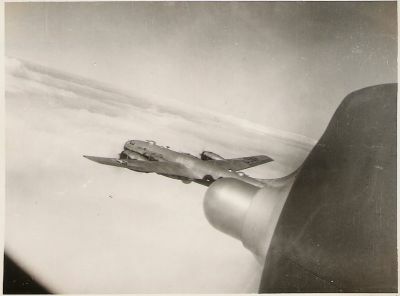 Whatever numbers you use, the fact remains that the aircrews of the 3rd BG racked up some incredible totals in combat. For its efforts in the Korean Conflict, the unit earned the Distinguished Unit Citations: - June 27-31, 1950; April 22 - July 8, 1951; May 1 - July 27, 1953; Republic of Korea Presidential Unit Citation - June 27 - July 31, 1950; April 22 - July 8, 1951. Campaign streamers: Korea: UN Defensive; UN Offensive: CCF Intervention; First UN Counteroffensive; CCF Spring Offensive; UN Summer-Fall Offensive; Second Korean Winter; Korea Summer-Fall, 1952; Third Korean Winter; Korea, Summer 1953. Fifth AF officials in Seoul, however, wanted the 8th BS, equipped with Douglas B-26 Invaders, to drop the last bomb of the war (and later credited the squadron with doing so), probably because the B-26 had also flown the first combat sortie three years earlier. 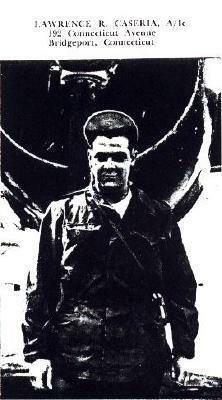 Col. Eugene B. LeBailly commander of the 3rd BG, picked the crew. 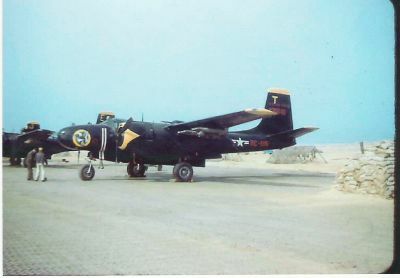 The RB-26C Invader, nicknamed Bye Bye Bluebird and using the call sign TYPHOON 73, would have on board 1st Lt. Donald W. Mansfield as pilot, 1st Lt. Billy L. Ralston as navigator, A3c Dennis J. Judd as gunner, and Ed Hoffheim of INS (International News Service) as a press observer. 'The briefing for the mission was in the afternoon and then [was] followed by a standard pretakeoff briefing at the aircraft that evening. It was at that time, we were introduced to Mr. Hoffheim. The target was a suspected buildup of supplies just north of the bomb line. Such buildups had been going on all day since all movement of troops, equipment, and supplies was to cease at 2200hr [10:00pm]. UN truce teams were to be dispatched the following morning to conduct inventories and thereby fix levels of troops and equipment that could not be changed after that date. "The one thing I remember about the briefing was that Colonel LeBailly stressed that Fifth AF did not want us crossing into North Korea after 2130hr [9:30pm]. This eventually became a problem. "We took off from Kunsan around 2015hr [8:15pm]. We had experienced some delay due to a VHF radio malfunction and experienced a rough-running right engine during our climb. At level-oft the engine smoothed out and we had time for Mr. Hoffheim to interview us and ask a few questions about the aircraft and our target. "We checked in with our TACC, but the controller assigned to work with us was experiencing radar problems. This mission was to be a drop from an altitude of 8,000ft [2A75m] with the TACC vectoring us over the initial point, down the bomb run, and giving us a countdown to the bomb release point. "The TACC finally got us in positive radar contact at 2125 [9:25p.m] and we were still 12mi [19km] south of the bomb line! In compliance with Colonel LeBailly's briefing, I requested the TACC to notify Fifth AF and get their permission to proceed. At 2130 [9:30pmL we received word that the Joint Operations Center had cleared the drop. TAcc immediately vectored us across the bomb line and at 2133 [9:33pmL the bomb release countdoym was completed and both Lieutenant Ralston and I pressed our bomb release switches and headed south. "There was still sporadic shelling across the bomb line, but only light ground-to-air gunfire. We were impressed by how little chatter there was on the radio, with several controllers calling to wish us well. 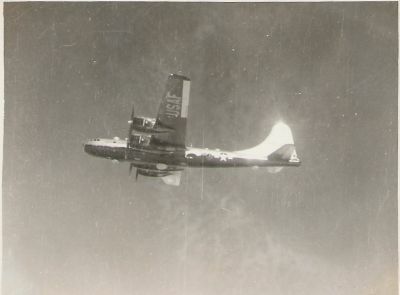 I heard the RB-26 from the 67th TRW check in as he crossed the bomb line behind us. We landed at Kimpo, dropped off Mr. Hoffheim, and experienced a little clearance getting back to Kunsan because the airdrome officer had been told not to let any aircraft into the air. W! : finally got airborne and were back at Kunsan in 35min. Over 200 men were waiting to meet us in the"dearming area and at the end of the runway, including Colonel LeBailly with five bottles of champagne!" Thus, the final phase of the air war in Korea ended, replaced by an armistice agreement signed by the opposing armies but never by any government. The POW issue was never really resolved. From the Third Bombardment Wing Welcome brochure in 1954 they said, "In World War II we did a lot of our flying during the daylight, but when the fracas started here we had something a little different because the enemy did most of his work at night. We became the "night shift" of the Fifth Air Force, flying from dusk to day. We concentrated on hitting enemy supply lines, railroads and highways both. A new type of ace came out of this conflict. He was the person who destroyed enemy locomotives. If a person got five, he became a "Loco Ace." By the end of the conflict, they had totaled up "337 locos, 31,026 vehicles and 2,920 boxcars." The War is Over After the War, things had died down slightly, but people waited uncertainly to see if the truce would hold. Then finally the people at K-8 started to relax a bit. 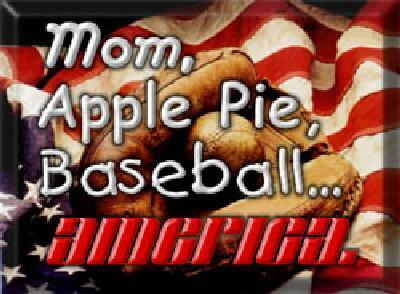 Craig Hinton of White Bear Lake, Minnesota remembers a 4th of July celebration to really write home about. He wrote, "The one thing I remember about my time at K-8 was the 'great 4th of July fireworks display'. After a fly-over, parade, and other festivities a fireworks display was scheduled for after-dark. If my memory is correct the Wing bought $1500 worth ( a considerable sum in 1954) of fireworks in Japan for the display. After dark the troops were all gathered at the ball diamond to see the "show". All went well for the first couple of rockets and then one tipped over and fired into the stockpile of fireworks and the whole pile went up in a spectacular eruption. Rockets were flying horizontally along the ground and exploding, troops running in all directions to vacate the area! I don't think anyone got hurt when it was all over. Afterwards we all went to the club to celebrate and everyone said it was a fine ending to the 4th !!" Craig recounts that the 8th Commander's billet in 1953 also served as the 8th's Private After Hours Bar, the "Wheel House." On the wall, the mural read the "Fighting Eighth"...a little different from the "Friendly Eighth" moniker that the unit brought with it from Japan. The housing for officers still were limited. There were two types...the corrugated iron Jamesway huts and the houses left over from the Occupation forces. The Slide Show photos by Craig Hinton in 1953. The Slide Show photos by Lewis (Doc) Partridge in 1953-1954. The Vietnam Connection There are some mysteries during the Korean War dealing with the B-26s. Some B-26s were flown directly to Kunsan AB from France -- without stops in Japan -- for transfer of the aircraft to the ROKAF. 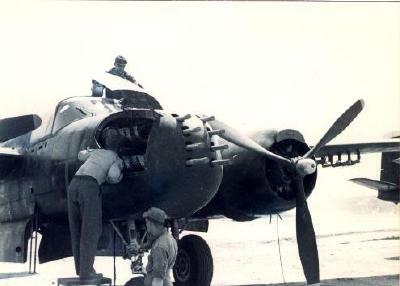 However, we have no information of any ROKAF unit flying B-26s unless it was for clandestine operations. 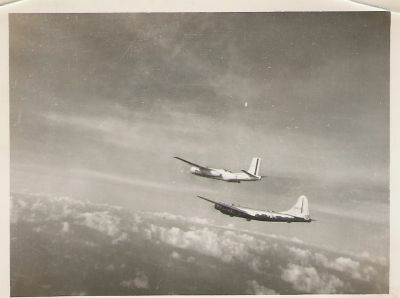 In Jan or Feb 1952, Martin J. Folan of 126th Bomb Wing (L), Bordeaux, Fr. Laon, Fr. wrote about a "special Field Mission Tour Kunsan AB, Korea to 'ferry' our B26's for use by ROK AF people. We returned to France without our Aircraft." 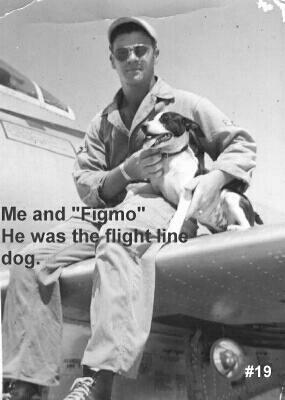 He recalled, "It was a long long flight from Bordeaux-Meriniac AB, France back in late Jan. - Feb. 1952. We T and G'd at several places along the way. No one left the area of the aircraft while gassing. I don't remember our staying anywhere overnight. Of course that was 51 years ago...but I was one of the youngest on the flight crews. We did not stop in Japan on the way over." After the end of the Korean War, there was a little known chapter of the B-26 Invader history involving the American decision in 1954 to support the French in Vietnam. However, the story actually starts much earlier in 1950 when the US clandestinely shipped B-26s to the French in French Indo-China. There are some mysteries during the Korean War dealing with the B-26s. Some B-26s were flown directly to Kunsan AB from France -- without stops in Japan -- for transfer of the aircraft to the ROKAF. However, we have no information of any ROKAF unit flying B-26s unless it was for clandestine operations. The assumption therefore is that these aircraft were clandestinely destined for Vietnam. 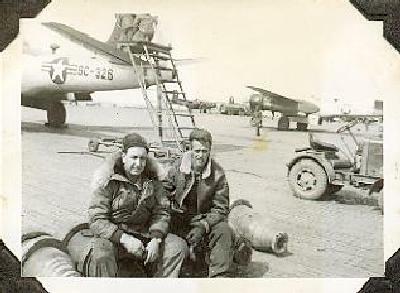 In Jan or Feb 1952, Martin J. Folan of 126th Bomb Wing (L), Bordeaux, Fr. Laon, Fr. wrote about a "special Field Mission Tour Kunsan AB, Korea to 'ferry' our B26's for use by ROK AF people. We returned to France without our Aircraft." He recalled, "It was a long long flight from Bordeaux-Meriniac AB, France back in late Jan. - Feb. 1952. We T and G'd at several places along the way. No one left the area of the aircraft while gassing. I don't remember our staying anywhere overnight. Of course that was 51 years ago...but I was one of the youngest on the flight crews. We did not stop in Japan on the way over." At the end of the Korean War, the shipment of aid to the French resumed. According to Marv Wiedner, flight engineer with the 90th BS, in this agreement, the U.S. government agreed to providing direct assistance in the form of a "loan" of USAF B-26B/C Invaders, aircrews and maintenance personnel. 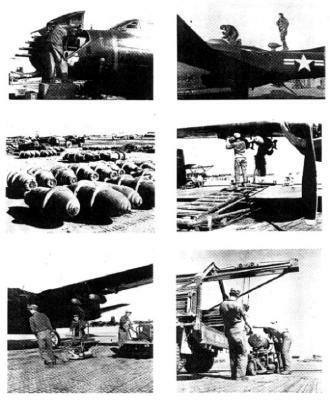 As the Korean Conflict truce was in place, five aircrews and maintenance personnel from the 3rd BW deployed in an operation called "Operation Saddle". The aircrews were sent to join the Groupe de Bombardement 1/91 Bourgogne at Tourane (later called Danang) and flew combat bombing missions against the Viet Minh. But the French were overextended and the end was inevitable after the loss of Dien Bien Phu. Marv recollected that the 3rd BW crews departed Tourane AB 14 days before the defeat at Dien Bien Phu. 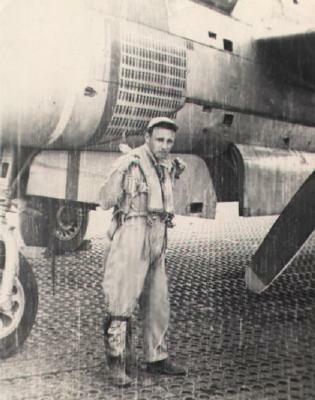 Lewis (Doc) Partridge, Commander of the 8th Bomb Squadron in 1953-54, wrote, "I was commander of the 8th in 53-54 time frame and recall losing some aircraft to the French. Can't be sure about the date but it was after the hostilities were over. As I remember "hard noses" were the first to go and my aircraft the "liberty Belle" was the first to leave. I have no idea about the number of B-26s that were eventually transferred but do have an anecdote concerning my aircraft." 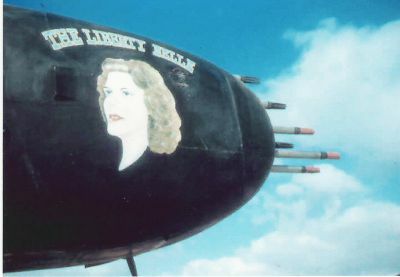 "One of the crews that ferried a B-26 to Vietnam reported that the "Liberty Belle" had been shot down on a LEVEL bombing run at 11,000 feet. Can you impagine the damage a "hard nose" could do from that altitude. It was typical of how the French conducted their war. The crew also reported that the French were short of critical supplies, aircraft parts, etc.. An incoming C-47 was expected to alleviate some of the problem but to the glee of the French it was loaded with wine. I guess that the wine was considered a critical supply to them. What a way to run a war." C.B. Plunkett of Prescott, AZ wrote about flying the B-26s to French Indochina. He said, "I was involved in that flight of I believe, 12-15 aircraft. I was stationed at K-8, Kunsan." "As best I can recollect after 50 years, it took place at the end of 1953. Our orders were rather vague but were sent to Miho, Japan where all US markings were removed and sensitive equipment (IFF, bomb sights, etc.) were also removed. While there a heavy snow storm hit...causing some delay. We were scheduled to follow a C-47 mother ship, since the only navigation service was our radio. Take-off had to take place NLT 12 noon. We had some mechanical problems and the cowlings were removed and repair ensued. Meantime, the other ships were taking off. We were finally buttoned up with minutes to spare before noon. "During warm up we noticed a small oil leak on the Rt Engine. John Hudson, my pilot, and myself after a minute or two then, in retrospect, decided to go for it. The delay and cloud formations caused us to lose the mothership, but we continued on a general course to Okinawa. "Very last we pushed on until at last I picked up I believe, Kadena Radio. We spent the night in Okinawa. Next stop was Clark AFB, Phillipines. Form there we were instructed to Tourone Naval Base in Indochina and release the planes to French authorities. 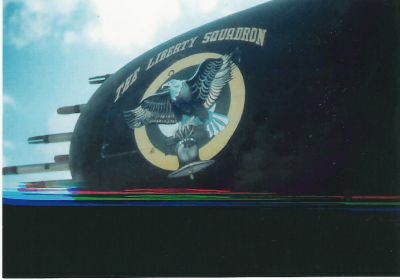 "Our S-16 Dumbo was standing by to ruturn us to Clark AFB. "As stated our orders were vague and no arrangements made for our return. Since Clark was so hospitable we stayed for about 4-5 days, visiting Manila & other cultural areas. "Finally hitched a ride on a Navy C-16 carrying dependents to Toky where again due to unclear orders we took 3-4 more days of R&R! "It came to an end when we placed under arrest at the officer Club during Breakfast. Escorted to Tachikawa by MPs and put on a C-124. "Upon arrival in Kunsan we were .. escorted to K-8 Officers Club and brought before the C.O. Col Barr. After a rigorous chewing out, he finally smile, shook his head, and said, "Get outta here." 3rd BW Departs Kunsan Then finally is was time to pack up and move on. The 8th departed K-8 on 5 October 1954 for Johnson Air Base, Japan. Though the days at Kunsan were ones of glory, I don't think anyone shed any tears over leaving the Land of the Morning Calm for the Land of the Rising Sun.